We have a range of different membership options available and you don’t even have to be a Bayside resident to join! Borrowing period of 3 weeks. Please note, there is a charge for overdue items and missing pieces. Children above 18 months are encouraged to borrow a puzzle or a game as well as the number of toys according to the membership chosen. Before leaving the Toy Library, members should check that the toy is complete and undamaged. Depending on the level of membership chosen, members are required to do a rostered duty sessions three times a year. 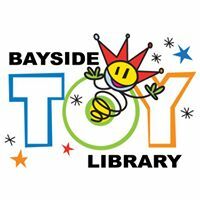 At Bayside Toy Library, you can nominate the type of duty that suits you, whether is covering the duty at the library or through a skill or profession you’d like to continue developing. Please, refer to the “Benefits of joining Bayside Toy Library” for more details. If you are unable to commit to 6 the allocated duty hours duty, please ask us about our non-duty levy. Should you have any question or just wish to learn more about the library, visit us during opening hours, or call us on 0447 985 221.